One of my favorite pastime is combing through Flickr and Photobucket looking for interesting pictures. Every once in a while you come across a gem. These two for instance were pretty interesting finds... (Hint, lower left corner). We all knew this was inevitable. 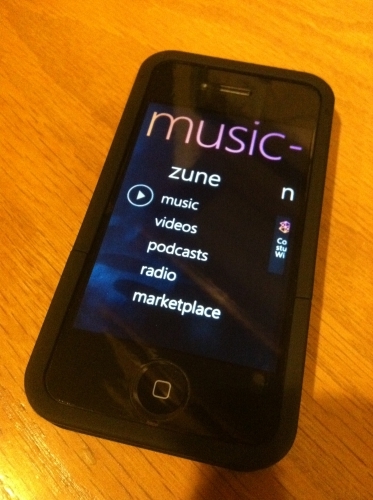 iTunes runs on Windows so why shouldn't Zune run on iOS? Besides, it's not like there aren't other iOS app developed by Microsoft. 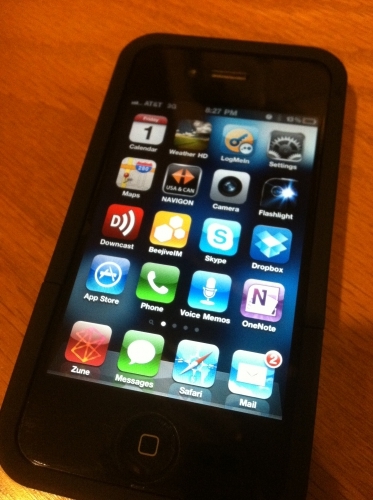 In fact, this is the seventh iOS app by Microsoft. The others are: Bing, OneNote, Live Messenger, Tag Reader, WonderWall and Sea Dragon. One more picture after the break.